The ideal space-saving, self-service solution for storing cell phones, keys and wallets. 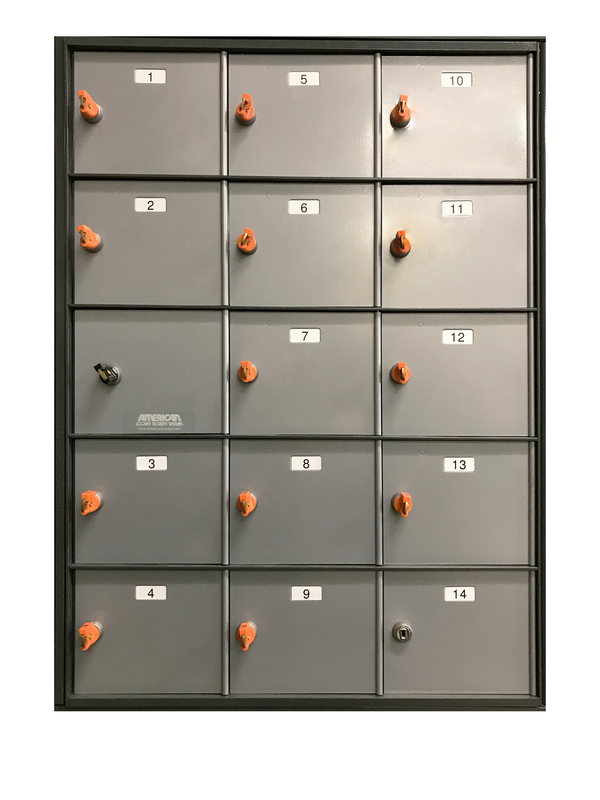 Key-operated, Mini-Check® Cell Phone Lockers provide users safe, easy access with our proprietary 16 million non-duplicative key combinations. Stay in control with master door access to all lockers. If looking for a self-service, low-maintenance locker solution, your search is over with Mini-Check®. 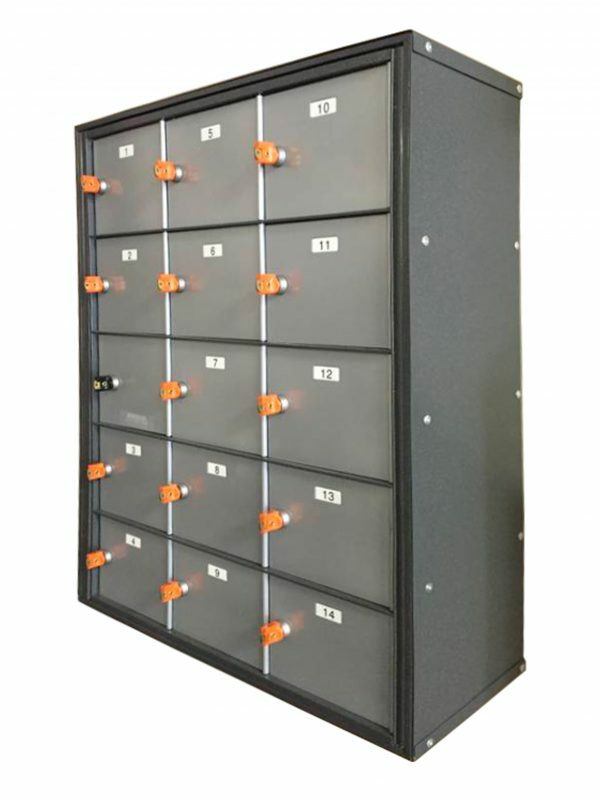 Allows management access to all compartments. Swings on continuous extruded hinge, secured from top to bottom by extruded locking bar. 6063 extruded aluminum with min. thickness of .100” with continuous extruded hinge. Wall mount by anchoring to wall with optional shelf support or desktop mounting.